PAN African Resources agreed an 8% wage increase with the National Union of Mineworkers (NUM) for employees at its Barberton Mines, but it will be sent back to the negotiation table before the end of 2018 as the deal is only for a year. 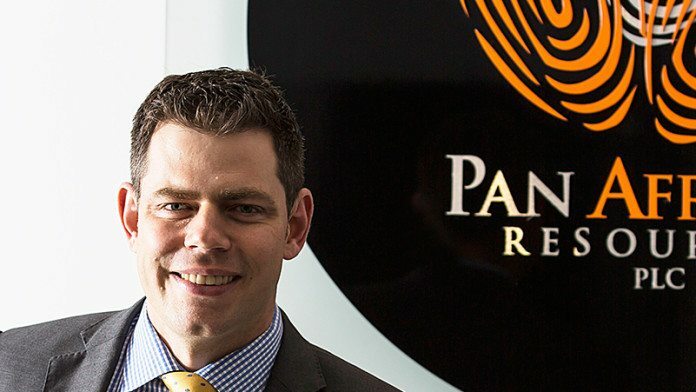 “We would like a 10-year wage deal if we could get it, but the reality is that the country is in flux and I believe that has had an impact on wage negotiations this year,” said Cobus Loots, CEO of Pan African Resources. Another factor influencing this year’s wage negotiations at Barberton with the NUM is that negotiations with unions at Evander Gold Mines (EGM), Pan African’s other main asset, is only due to kick off next year under the auspices of the Chamber of Mines. It’s thought the NUM is keeping a close eye on how those negotiations turn out, although it’s questionable whether employers will mandate the Chamber to much more than the 8% agreed at Barberton Mines given the pressure the industry is under at the present. Earlier this year AngloGold Ashanti and Sibanye Gold said they were embarking on restructuring which could affect 16,000 jobs. Pan African said today in an announcement to the Johannesburg Stock Exchange that the agreement with the NUM was in addition to a three-year wage deal concluded on June 30 with the United Association of South Africa at the Barberton Mines. The agreement with the NUM, which follows a two-year deal previously, is effective from July 2017. Pan African added that it had a two-and-a-half day stoppage during the negotiation period with the NUM. “The stoppage is not expected to affect the group’s production guidance of 190,000 ounces for the financial year ending 30 June 2018,” said the company in its announcement. The London- and Johannesburg-listed company said on September 20 that it would cut the final dividend 62% to R185m for its 2017 financial year following a difficult operational period characterised by hindrances and vexations which resulted in lower gold production. Shaft 7 at EGM was shut for 55 days to accommodate a refurbishment while at Barberton Mines there were community disruptions, safety-related stoppages and flexibility issues at the Fairview section. An engineering review at EGM had detected “… further infrastructural issues, which are being addressed,” the firm said. The result was 15.4% lower production which at 173,285 oz resulted in a significant increase in all-in sustaining costs to R514,435 per kilogram from R405,847/kg previously. The gold price in rand terms was flat year-on-year as the rand strengthened against the dollar. The group’s figures were also affected by a R100m impairment on its investment in Phoenix Platinum, a surface mining operation which is being sold to Sylvania Platinum for R89m once the deal has Competition Commission approval. The outcome was a 43% decline in taxed profit of R310m and 34.4% lower share earnings which came out at 19.8 cents.